You may be in the bustling ancient narrow streets of Ispahan or Tabriz, lost in the Tehran Grand Bazaar, in the courtyard of former palaces now hosting ministries, or in the office of one of North Tehran burgeoning skyscrapers in front of the latest Apple Notebook, giving oneâ€™s word remains an essential component of an ancestral code of honor that has continued to influence the Iranian business culture to this day.Â The negotiation process blends this tradition with the requirements of todayâ€™s world. This age-old custom hinges on oneâ€™s reputation and respectability, altruism being a pivotal part of the Persian mindset. It is rather common when negotiating â€˜the Western wayâ€™, that the Iranian partner fights tooth and nail to get a say 30% commission, but at the end of the transaction wonâ€™t accept more than 25%, considering that having relinquished the remaining five percent shows its magnanimity, thus proving that giving oneâ€™s word is as important as â€“if not more than- actually signing the contract in its written form. It is a fact of everyday life in Iran that negotiation processes are informal. While negotiations are under way there is almost any paper track, at least not until the deal is sealed by a handshake â€“ a highly symbolic act signifying that both parties give their word of honor they will abide by their commitments. This informality goes hand in hand with social interactions (social structures) based on trust and trustworthiness and its corollary â€“ standing by oneâ€™s word. Going back on oneâ€™s word is considered as dishonor that brings disgrace not only on the individual but also on his family.Â The importance of the familyâ€™s good name is such that, even in the absence of written documents Iranians will keep their words and will never let money matters take precedence over reputation. However, this tradition anchored in discourse and trustworthiness has evolved throughout history and been adapted to the demands of todayâ€™s world. Showing respect for others, the ethics of generosity and good deeds â€“all external manifestations of oneâ€™s good name and trustworthiness- are increasingly reflected by an abidance to written rules and regulations. The Iranian society is currently moving in-between two worlds. Compliance with the law coexists with the informal rules of a code of honor that gives special attention to what Iranians call Â«Â batenÂ Â» in Persian â€“ an individualâ€™s ethics and behavior, his inner and deep side. 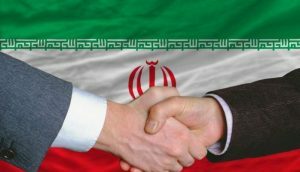 While this primacy given to oral contracts over the signature of written agreements may be of concern to some Western businessmen â€“ eager to write down every details to avoid any future legal consequences in case a dispute arise â€“ it should not discourage them from building a presence in the Iranian market. What they need is a trustworthy and professional partner that knows the intricacies of both Iranian and Western cultures in order to act as a bridge between the two sides. Being aware of the great potential of the Iranian market and its talented youth, IranianOffice is helping its clients to understand Iranâ€™s specific code of honor and politeness thanks to a completely bi-cultural team of professionals aware of the ins and outs of agreement negotiations in both Iran and the West.